Is it just me that’s obsessed with beanie hats? Nope? Okay that’s good to know. I absolutely adore them, and there’s something about adding a beanie hat to an outfit that just alters the look… in a good way. 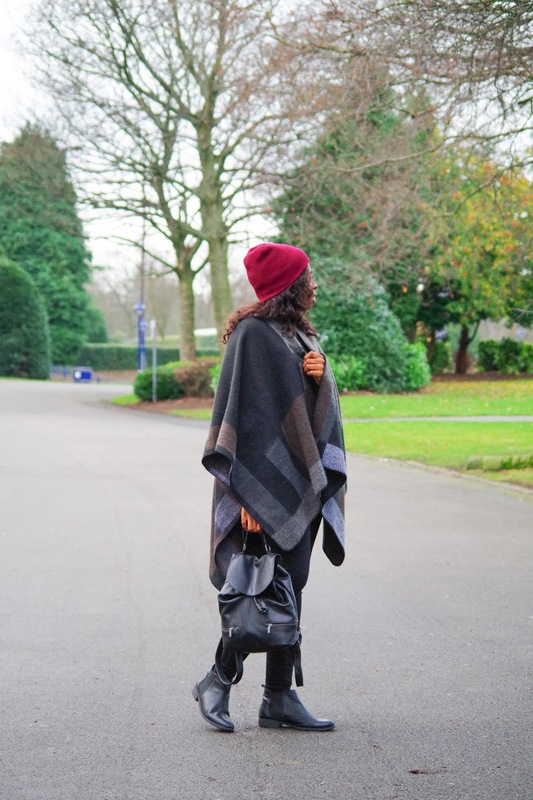 Today’s outfit is a super cosy one, because comfort is key. 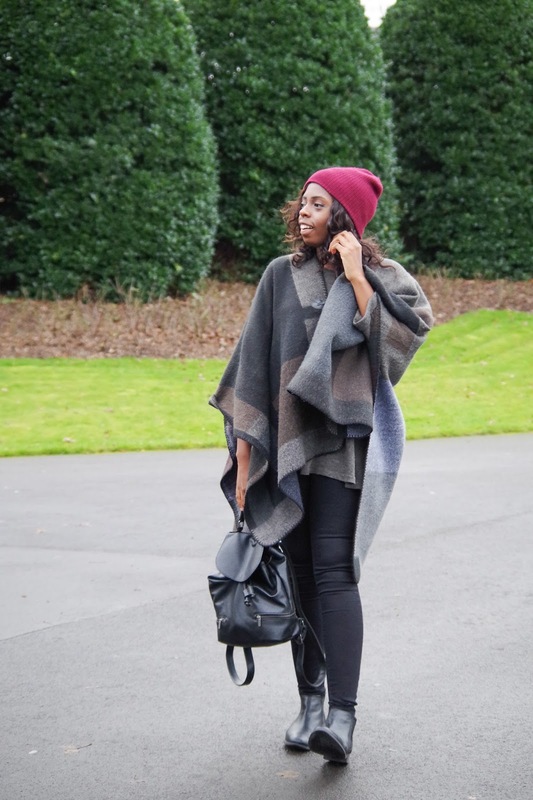 Capes are an autumn staple piece that have become a new favourite for me, and I kind of want to wear them all year round. It’s like wearing a blanket that’s social acceptable! 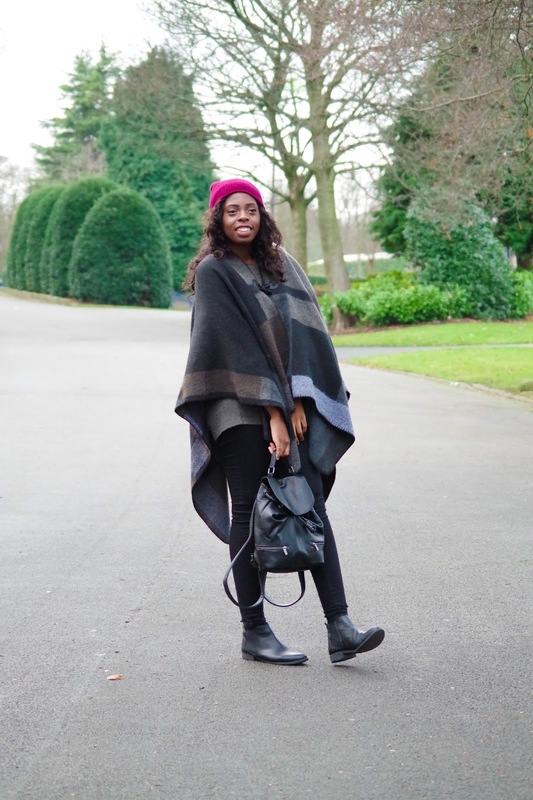 I picked up this Steve Madden cape from TKMaxx a few years back, and have adored it ever since. Not only is it still in amazing condition, but it’s an incredibly thick blend of cotton and wool to keep me warm. Usually I can’t wear wool, but this cape is super comfy. As the rest of the look is pretty dark, I wanted a little bit more colour to be featured, which is where the magic beanie comes in. It’s a basic cotton hat, that is probably from the men’s department but I bought it from ASOS anyway. I really like how it brightens up this look, even though it’s not an illuminous colour. I occasionally call it the magic beanie because it’s so easy to put with any look! 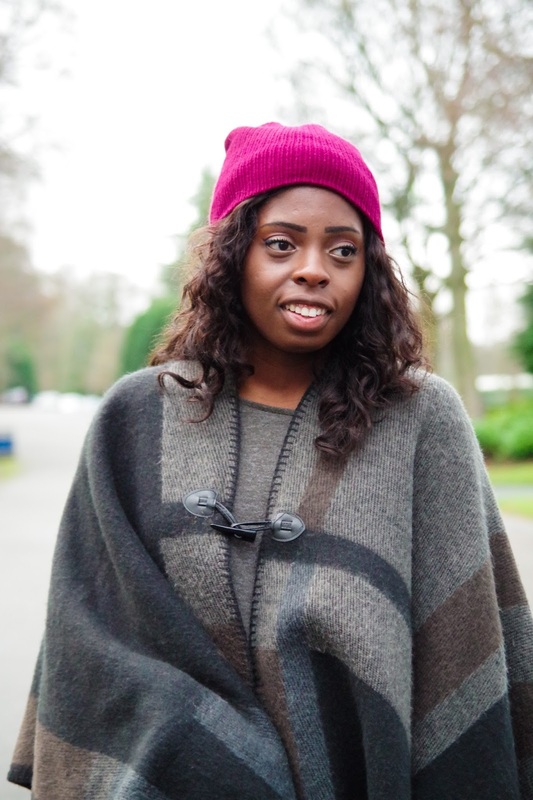 Casual jeans and a tee, a skater dress, or even a jumper with leggings – the beanie always works.